Lock in a great price for Lovely Townhouse with Views – rated 10 by recent guests! 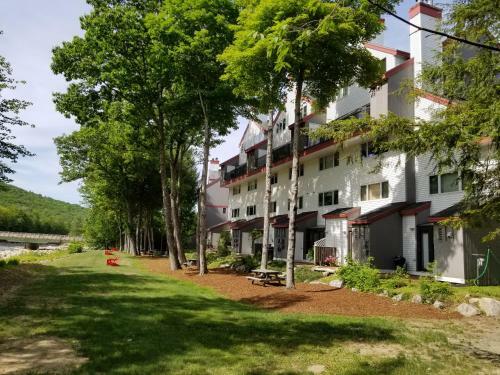 Offering a barbecue and spa bath , Lovely Townhouse with Views is located in Lincoln in the New Hampshire along the Pemigewasset River. Loon Mountain is 4.3 mi from the property. Free private parking is available on site. There is a fireplace, a full kitchen, a flat-screen TV, a washer and dryer at the property. 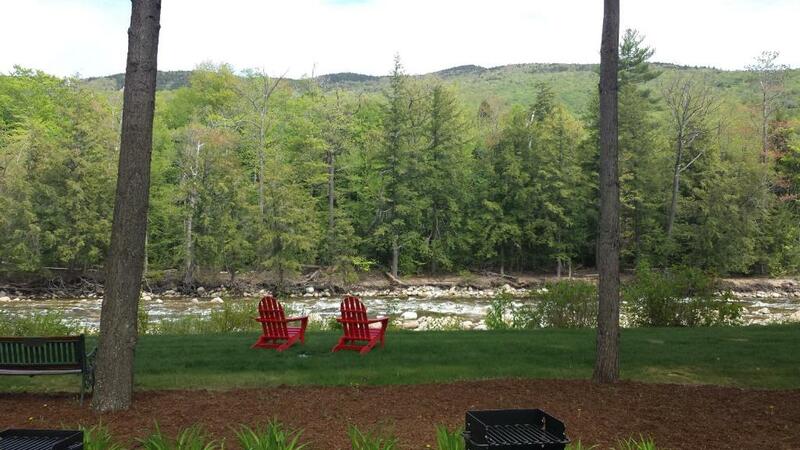 It offers views of the Pemigewasset River and South Peak Mountain. Lovely Townhouse with Views features free WiFi throughout the property. There is an indoor pool and fitness center on site. Downtown Lincoln is 1,950 feet away. 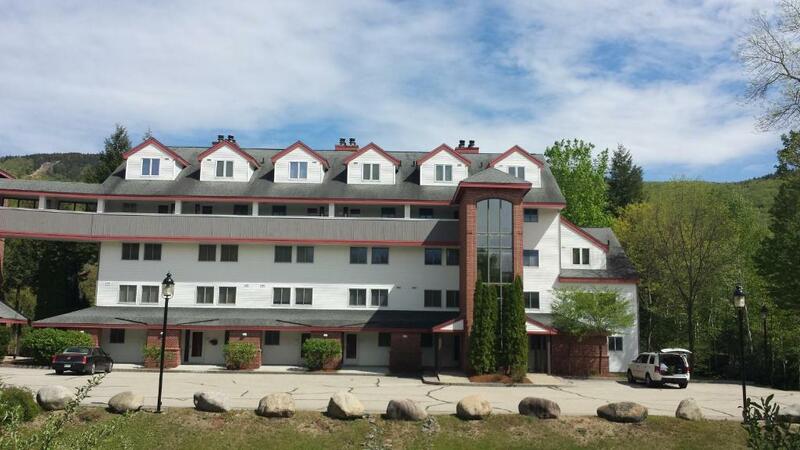 Franconia Notch State Park is 12 mi from Lovely Townhouse with Views. When would you like to stay at Lovely Townhouse with Views? 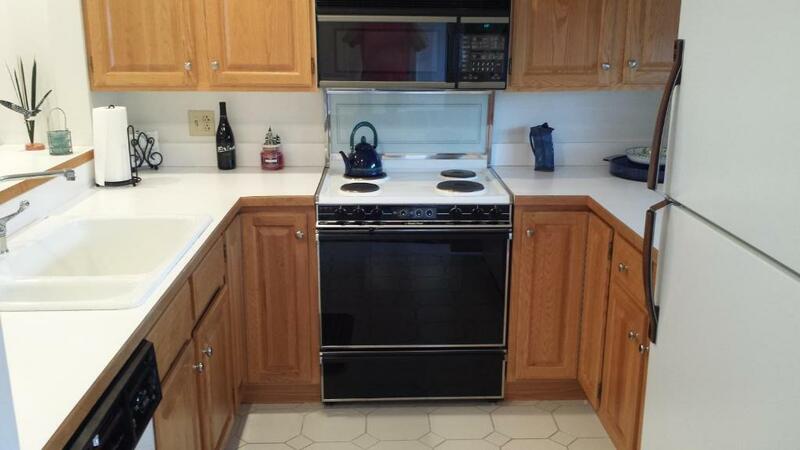 This apartment has a spa bath, dishwasher and electric kettle. 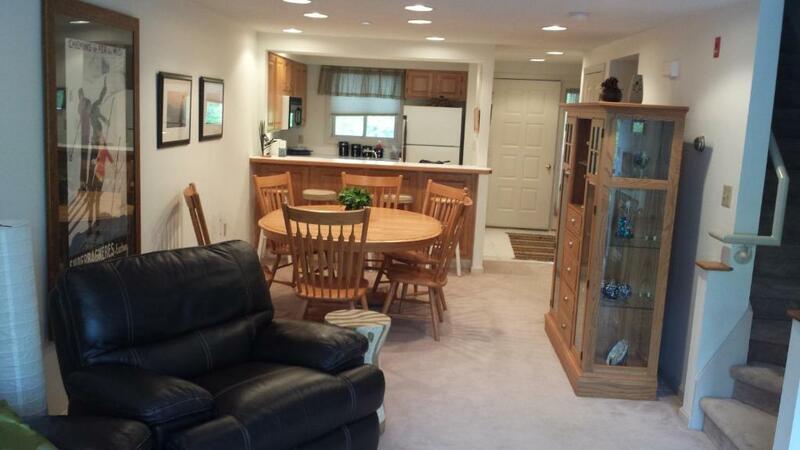 Large, 2,000 SF townhouse with 3 full bedrooms and 3 full bathrooms, right on the Pemigewassett River with views of Loon South Peak Mountain. Only a 2 minute walk into town with restaurants, pubs, shopping, entertainment and activities. 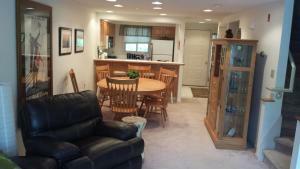 Enjoy flat screen TV, WiFi, Washer and Dryer, Pool, Hot Tub, Fitness Room, Game Room, and more. 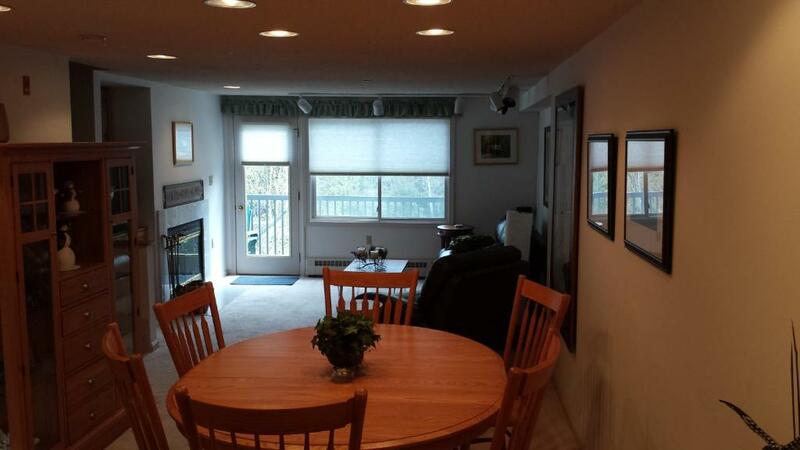 The Living Room features a flat screen cable TV and a DVD player, a gas fireplace, and a walk-out balcony. The Master Suite features a queen bed, with a full, private bathroom with Jacuzzi tub. The Guest Suite features a queen bed, and a full, private bathroom. The Third bedroom features a queen bed and twin bunk beds, with main bath. 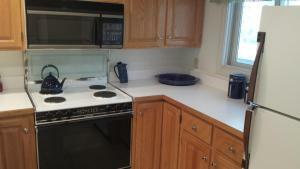 The full kitchen features a dining area that seats 6, with additional seating for 2 at the eat-in bar. Washer and dryer are located just off the kitchen. Guests have access to the large manicured back yard with BBQ, picnic tables and of course, the river, plus the Rivergreen Resort next door, including indoor (heated) pool and hot tub, game room and fitness room. There is NO FEE to use the amenities. They are available free to my guests. Free high-speed Wi-Fi is also included. House Rules Lovely Townhouse with Views takes special requests – add in the next step! Clean, comfortable and fitting the description. The townhouse was clean and comfortable with plenty of room for our bunch (6 adults and 1 ).Nice clean refrigerator to put your stuff in to.Beds maded with clean towels on it, awaiting our arrival.The sound of the river putting you to sleep.Nice condo ! Had a great stay up there in Lincoln. Cant wait till next year!